THE love story of basketball coach Chot Reyes and his wife, professional hairstylist the former Cherry Tiosejo, has all the makings of a great telenovela. There is an unplanned pregnancy, enmity between parents and the prospective son-in-law/daughter-in-law, screaming fits, doors slammed preceded by departures in a huff, big fights, threatened separations—I can just imagine the dialogue in my head. It’s the stuff that keeps most people glued to their afternoon TV screens. But just like any great telenovela, there are no tragic endings but only happy ones. 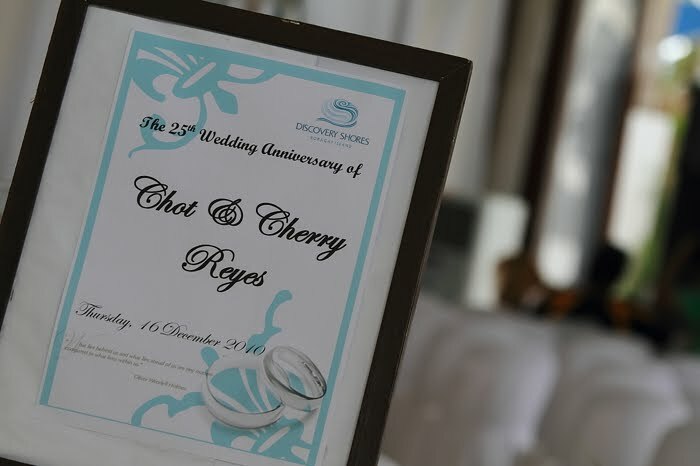 After all that drama, Chot and Cherry joyously celebrated their 25th wedding anniversary last December 16, and did it so in style at the posh Discovery Shores. With their four children, close family and friends all dressed in beach white, they commemorated the glorious occasion with a thanksgiving Mass that ended just as the sun was setting, painting the Boracay sky in postcard-pretty wisps of orange and blue and gray. A wonderful intimate dinner followed, with relatives and pals toasting/roasting the two, and after the last dessert had been savored, the entire group partied all night. “Everyone was thankful for that party,” Coach Chot, fresh from the recent win of his Talk ’N Text team at the recent PBA championship, tells me. From the photos I’ve seen, there can be no doubt that everyone who went home did so with a huge smile on their face and a skip in their step. There is an easy bantering, a kind of cariño or affection for each other that is reminiscent of how best friends behave, or, in this case, a pair of well-seasoned lovers. There is also honesty—the kind that never hurts, but only acknowledges what they had been through as a couple—just the facts folks. And the interview is always peppered with witty declarations, both having a healthy sense of humor. But both turn serious when talking about the early days of their relationship. Just five months into the relationship, Cherry became pregnant, yet both decided not to get married until after Chot graduated from the university. “Can you imagine the dilemma nung in-announce ko na buntis ako, pero ’di kami magpapakasal? Sobrang iyak ng mommy ko,” recalls Cherry, the youngest in the family, and who describes herself as having led a very sheltered life. Chot was the eldest in his family, and being male at that, there was also a lot riding on his future. “To support them, I had to take a part-time job,” Chot continues. “I worked at the Ministry of Transportation from 8 am to 12 noon. Then papasok ako [sa school] from 1 to 4 pm, wala akong kotse ha. Then from 4 to 6 pm, I’d coach the high-school team. Then 6 pm, I had to play for the college team for my scholarship. For two years ’yun ang buhay ko.” He proudly says he was able to graduate on time, then went on to work full time at the transportation ministry. They finally got married in 1985, much to the relief of their respective families and friends. 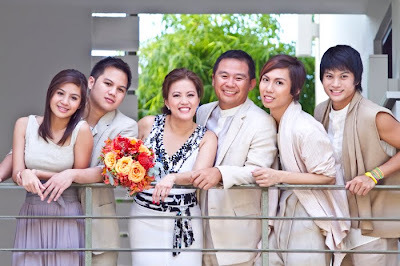 Chot says, “We spent for our wedding,” which was held at the Archbishop"s Palace, and reception at the Makati Skyline. Still, there were more trials to come, as they adjusted to their new life as a married couple. Chot recalls, “There were a lot of big fights early on,” which Cherry says were mostly about money and jealousy, the latter, of course, due to Chot’s popularity as a star basketball player with a bevy of female fans around. Both add that basketball also plays a part in strengthening their ties: “It’s a common activity [that bonds us],” acknowledges Chot. “Masaya kami when we’re champions,” says Cherry. “’Pag matalo, malungkot, malungkot together,” Chot says, finishing the thought. He stresses that by no means is their marriage perfect, but both have learned to live and tolerate each other’s quirks or insecurities. There is a time, for instance, to just keep quiet and let the other spouse vent his/her anger. Or perhaps sleep it off, so cooler heads can tackle the issue the next day. “The best way to each your children about love and about God is to show them how to love your spouse. Kasi yung iba d’yan grabe magdasal, sobrang religious, tapos bastos, nangbubugbog pa....I think our marriage is strong; we can overcome a lot of crisis,” Chot confidently shares. Cherry advises all couples who reach a milestone like their 25th year together to celebrate it. It’s a way of reflecting on their lives, she explains, seeing how they managed to overcome the challenges that presented themselves, and a chance to begin a new chapter in the relationship. 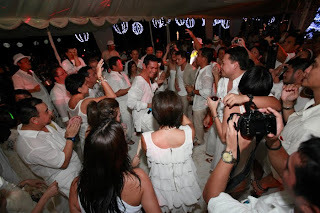 “So tanong [ni Cherry], ‘mag-renewal of vows ba tayo [during the Mass]?’ Sabi ko, ‘I have nothing to renew because I’ve never broken any vow,” declares Chot, and we all dissolve in a fit of laughter. Game over. Another championship round won. It’s never a dull moment with these two.